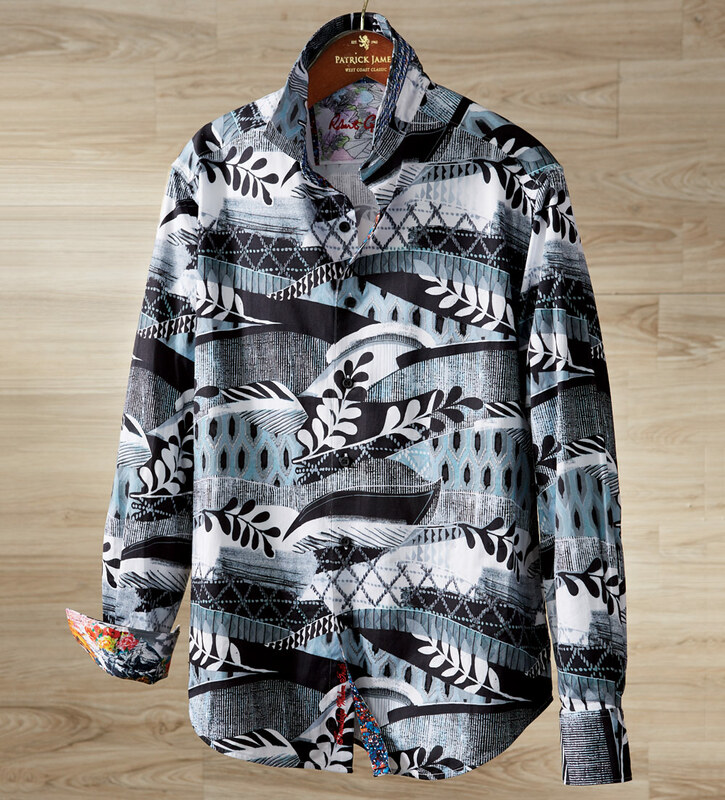 Abstract work of art with lavish, embroidery details in luxurious, 100% cotton. Classic fit, long sleeves, spread collar, shirttail hem, contrast print inside collar and cuffs. Machine wash. Imported.